MOSCOW, October 6./TASS/. Any missile or air strikes on the territory under control of the Syrian government will pose an obvious threat to the Russian military, Russian Defense Ministry spokesman Igor Konashenkov told a briefing on Thursday in comments on western media reports about possible strikes on Syrian troops. "Most officers of the Russian Centre for Reconciliation of the Warring Parties currently work ‘on the ground,’ delivering humanitarian aid and conducting negotiations with heads of settlements and armed groups in most Syrian provinces," he reminded. "That is why any missile or air strikes on the territory under control of the Syrian government, will create an obvious threat for Russian military. And finally, I draw attention of ‘hotheads’ that after a strike on Syrian troops in Deir ez-Sor by planes of the coalition on September 17, we have taken all necessary measures to rule out any such ‘mistakes’ against Russian military and military facilities in Syria," the spokesman said. More than 60 military were wounded and about 100 were wounded as a result of an airstrike by the international coalition on Syrian government troops in Deir ez-Zor. Later, Russian Foreign Minister Sergey Lavrov said the US had admitted that the attack was a result of mistakes and apologized to Syria through Russia. Nevertheless, the incident called into question the implementation of Russian-US agreements on the Syrian settlement. On September 19, the Syrian army said it was withdrawing from the ceasefire regime. The military top official noted that the crews of Russian air defense systems stationed in Syria would have no time to make inquiries about the exact flight path or nationality of approaching missiles, should the positions of government forces be attacked. "The crews on duty will hardly have the time to calculate the missiles’ flight path or try to find out their nationality. As for the laymen’s illusions about the existence of ‘invisible planes’ they may confront a disappointing reality," he said. 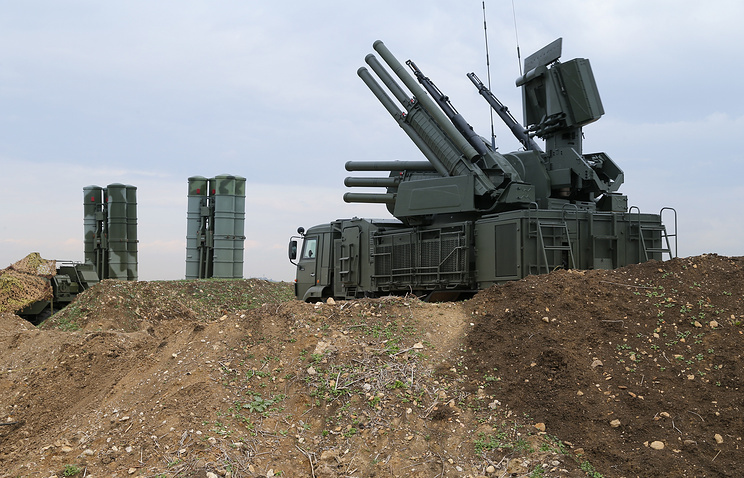 Konashenkov recalled that Russia’s bases in Hmeymim and Tartus were protected by S-400 and S-300 air defense systems, "whose range of operation may prove a surprise to any unidentified flying object." And the Syrian army has at its disposal S-200 and Buk systems and other weapons that underwent overhaul last year. 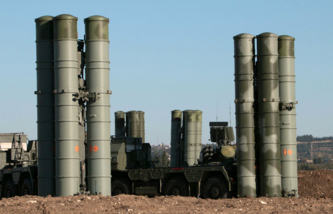 The newest air defense system S-400 was brought to Syria at the end of November 2015 after a Russian bomber was downed by a Turkish F-16 jet. As Vladimir Putin said in mid-March 2016, S-400 and missile and artillery systems Pantsir would remain on duty in Syria after the pullout of the bulk of the Russian air group. On Tuesday, October 4 the Russian Defense Ministry said a battery of S-300 had been moved to the naval logistic facility at Tartus. 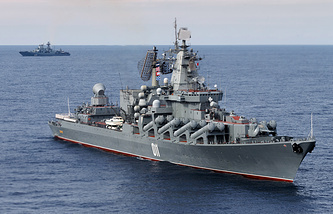 It is expected to provide protection for the Russian task force off Syria’s shores. Strikes may turn out "a prologue of real actions"
The spokesman has advised Washington to thoroughly figure out the possible consequences of strikes on government forces in Syria. "A number of influential Western media published leaks on discussion in the White House administration of a possibility to deliver missile and air strikes on the positions of Syrian troops," Konashenkov said. "History shows that often such injections turn out to be a prologue of real actions," he said. "I would recommend colleagues in Washington to thoroughly analyze the consequences of implementation of such plans," Konashenkov said.